Narrandera's Koala Committee have developed stunning calendars for 2016. 12 months worth of glossy full-colour photos of Narrandera's local wild koala population. Perfect for a gift or to grace your own walls at home. 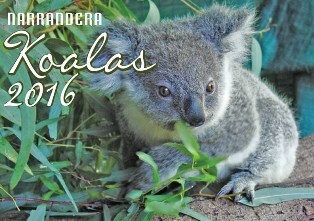 The calendars can be purchased directly from the Koala Committee for $10 plus postage. Contact Ken on 0428 690 750 or Lindsay on 0410 363 082. Be quick! Stocks are limited.